You are invited to The Glendale Historical Society's Gala & Benefit, An Elegant Evening at the Davis Estate, an impressive and secluded 1925 Italian Renaissance Revival home built for Leonard C. Davis and his wife, Clara. Mr. Davis was the owner and president of Glendale’s Grand View Memorial Park. 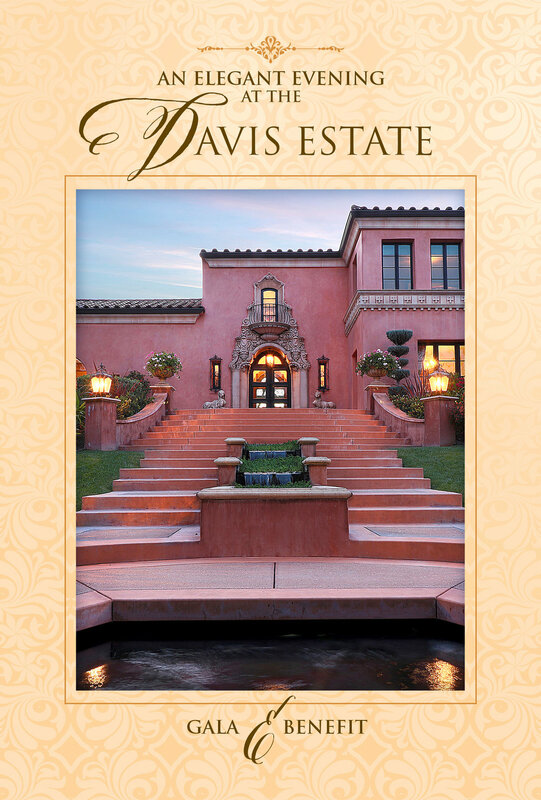 The original subdivision map calls the area in which the Davis Estate is located “Garden Circle.” The grounds live up to the name and exemplify the quintessential Southern California estate of the 1920s. The event will feature delicious hors d'oeuvres, signature cocktails and a silent auction. Proceeds benefit TGHS's endowment and preservation funds. TGHS will also present its annual awards in recognition of outstanding achievement in historic preservation and volunteer service. The recipient of the 2018 Preservation Award is the Assistance League of Glendale for its exceptional stewardship of the Kiefer & Eyerick Mortuary building, which was listed on the Glendale Register of Historic Resources earlier this year. Kiefer & Eyerick Mortuary, located at 314 E. Harvard Street, was built in 1928 in the Tudor Revival style and designed by prominent local architect Alfred E. Priest. The Assistance League has owned the building since 2002. The recipients of this year’s Volunteer Award are Robert Gordon and Matthew Letcher. Since 2016, Robert Gordon has led the effort to organize the annual Restoration Expo, a free community event that provides valuable information and resources to homeowners interested in preserving and maintaining their vintage properties. For the past four years, Robert has also coordinated the silent auction at the annual Gala & Benefit to raise much-needed funds to support TGHS’s preservation efforts. Matthew Letcher has helped advance the cause of historic preservation through his beautiful photography and graphic design work, spending countless hours preparing educational and promotional materials for TGHS, including the quarterly newsletter. The Gala & Benefit is black tie optional.